Shannon Sproule (Shannon Ocean) brings us a sample of life in the year 2001. There’s nothing not to love in this but the transparent yellow plate in the spike is utterly perfect to my eyes. If I were that classic black spaceman I would be in heaven. This makes me want to do spaceships as well! 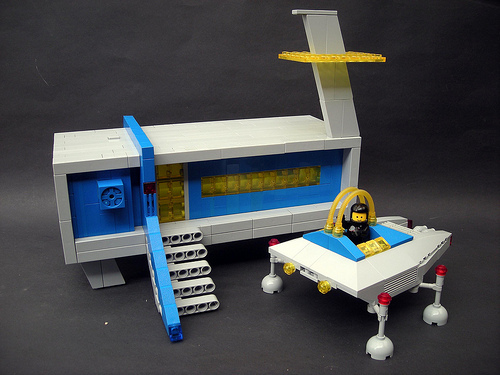 Looks so much cooler than all official Lego space sets.